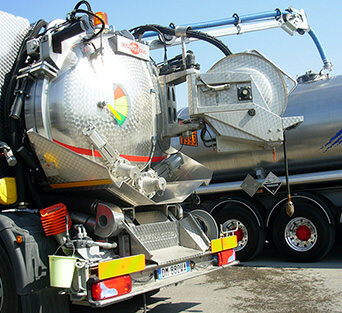 400 transport entrepreneurs, more than 800 trucks and mechanical vehicles, over 1200 personnel.  A great organisation with a certificated Quality System, which optimises services thanks to its “Operating Divisions”, powerful arms coordinated by a watchful brain. 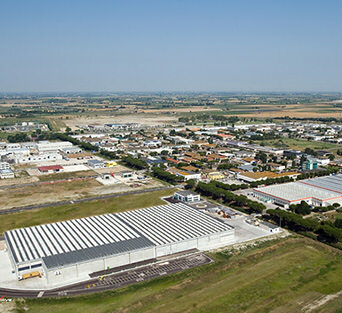 The carrier consortium CONSAR with it’s long history that dip the roots in fifty’s and sixty’s, has by the time represented a great and important reality in the Ravenna’s area evolution. 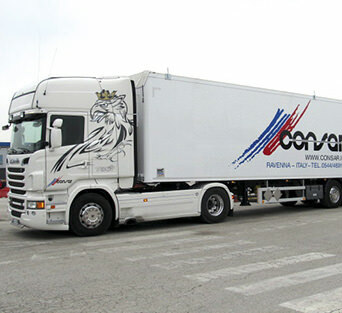 In real time Consar is able to face the new logistics and transport dynamics for any kind of goods, offering tailored solution for every custom. 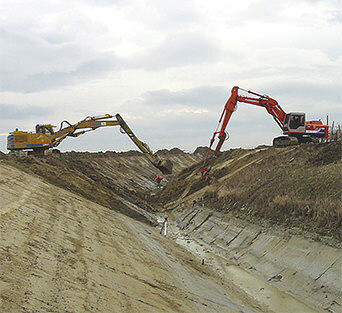 Works carried out in large building and hydraulic sites, integrated rail-road transports, the vessel hold to destination services, handling of dangerous goods and special wastes, logistic, a recent large investment. 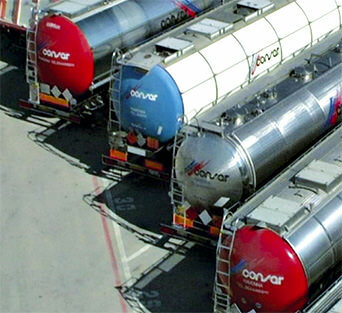 Consar provides services of conventional goods transportation, international and special transports, logistics, container transportation, warehousing, earth handling, liquids transport with tank trucks, hoisting, environment service. The Consar services are constantly certified by leading national and international institutions. All permits and certificates. For some documents you need to be registered. Consar employees' case management system in reserved area. Reserved area for Consar customers.